Over the course of six months, the WCPO I-team collected records from 40 different police departments and reviewed thousands of disciplinary cases involving officers. Our motives are simple: We want to make sure the people who protect us and enforce our laws are worthy of the high level of trust the public gives them. Read more about this project and why we are doing it here. ADDYSTON, Ohio -- Casey Ohe knows she behaved badly when Addyston Police Officer Justin Blanton arrested her last summer. She was drunk and screaming, Blanton said. It was just after midnight. He arrested her outside her home on Main Street and accused her of disorderly conduct and resisting arrest. At the time, she didn't know she'd soon become part of a rare statistic: one of the very few people charged with making a false allegation of peace officer misconduct. 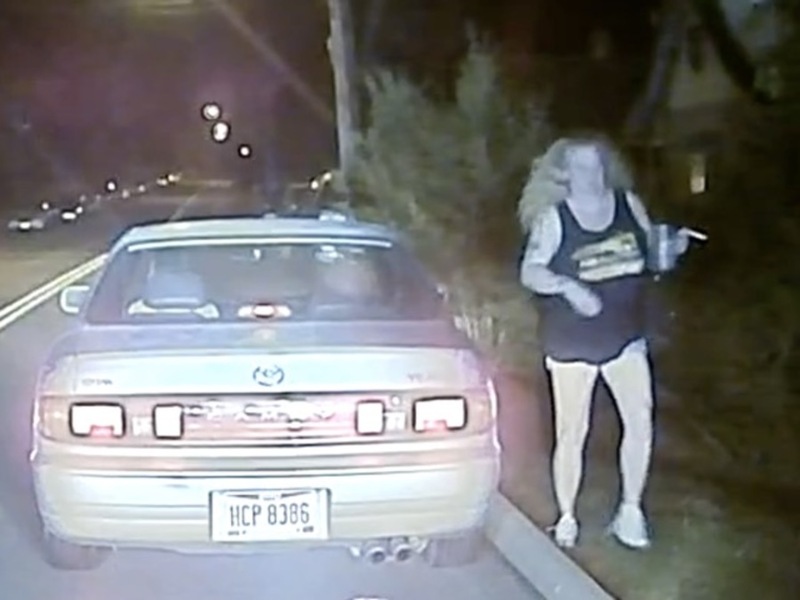 Ohe filed her complaint two days after Blanton arrested her. She alleged he "made nasty remarks" and was "being very aggressive," that Blanton "kicked (her) ankle out from under (her)" and that she "asked for medical treatment." Dash camera footage shows she waited 15 minutes to receive it. Addyston Police Chief Dorian LaCourse determined Ohe's complaint lacked merit; the department charged her criminally, claiming she lied. The I-Team wanted to know how police departments handle complaints against officers, and what happens if those complaints are found to be untrue. We reviewed thousands of disciplinary records from 40 police departments serving the Tri-State, focusing on the agencies in seven metro area counties in Ohio and Kentucky. Reporters studied thousands of incidents involving police in large and small law enforcement agencies. We weren’t sure what we would find when we began collecting these records, but our goal was making sure the public was aware of how law enforcement agencies investigate their own. In most local police departments, filing a complaint isn't as easy as the federal government says it should be. And in the rare cases when police charge someone with making a false complaint, we found there’s almost never a conviction. Ohe was in the passenger seat of a friend's car when Blanton pulled up on them around 12:10 a.m. June 5. The car was stopped on a side of the road where there's no parking. The driver told Blanton he was just dropping Ohe off. Addyston is a small village hugging the Ohio River in western Hamilton County. Fewer than 1,000 people live there. Ohe and Blanton weren't strangers; they greeted each other during the traffic stop. A few minutes later, Blanton sent the driver on his way, telling him to park in the driveway next time. Casey Ohe walks toward her house after getting out of a friend's car on Main Street in the village of Addyston. Ohe got out to go to her home. Dash camera footage shows Blanton got back in his cruiser and drove down Main Street. Someone shouted in the background. Then the cruiser made a U-turn, passing by Ohe again. Blanton told her she had "a second to get in that house." "I don't care," Ohe replied. At that point, Blanton got out and told her to put her hands behind her back. He told her she was drunk and screaming. "Justin, don't do this... are you serious?" she said. Blanton was arresting her for disorderly conduct, he said. Ohe continued screaming at someone in the house. She told Blanton to leave her alone "until the paramedics come." "You kicked the sh*t out of me," she said. Read Ohe's complaint against Blanton, and the criminal complaint filed against her in turn (warning: Ohe's complaint contains profanity). Blanton denied kicking her. Later that day, according to Ohe's medical records, a doctor diagnosed she had a mild ankle sprain and elbow contusion. Police Chief Dorian LaCourse investigated Ohe's complaint by comparing it to the dash camera video. The chief determined "Blanton was nothing but polite all the way through the video to Ms. Ohe." The chief concluded there was "no evidence" supporting any of Ohe's allegations, and that she lied. "Am I concerned that our guy went too far over the limit? No," Addyston Mayor Dan Pillow said. Based on the chief's investigation, the department went ahead with the false report case against Ohe. The crime is a misdemeanor in Ohio, but records show it's one rarely filed in Hamilton County. We found nine such cases involving seven defendants since Jan. 1, 2008. Of those, four were dismissed, two were acquitted and two cases are still pending. The outcome of one case is unclear from court records. "I believe it's personal," Ohe said. "They have a personal vendetta against me." The chief denied that. In December, a judge dismissed Ohe's case -- and all the charges against her -- because the officer didn't appear in court. A U.S. Department of Justice report suggests police departments should make it "as simple as reasonably possible" to file complaints against police officers, including allowing people to file complaints online. Our review of 40 local police department websites found most of them, including Addyston's, don't make that an option. Addyston’s link for its police department website is inoperable. Village policy requires complaints be filed within five days of the incident, a deadline we didn't see on any other local police complaint policy. Pillow said he's unaware of any instance in which the village has turned away a complaint because of that deadline. "It may be on there," he said, "but they know I'm open to complaints any time and all the time." The city of Cincinnati has the most comprehensive complaint investigation process in our area, a result of the landmark Collaborative Agreement to settle lawsuits alleging racial bias. Complaints can be filed online with the Cincinnati Police Department and the Citizen Complaint Authority , which has a paid city staff and volunteer board members. "We have to address these things head-on, and there has to be movement." Like the police department, CCA investigators interview witnesses and present detailed reports. The CCA has a citizen board, whose seven members are appointed by the mayor and approved by Cincinnati City Council. Reports are read on the record during monthly meetings, which are also broadcast on the city's government access channel and posted on its website . The CCA also makes recommendations to Cincinnati Police Chief Eliot Isaac and City Manager Harry Black. "It's important that we stay relevant and credible, and engaging our community is really at the forefront of both of those things," board chairwoman Dorianne Mason said. She said community voices are often silent at their meetings because few people participate. The Citizen Complaint Authority board meeting from Jan. 22, 2018. CCA investigators have proven some complaints false by reviewing police body and dash camera video. But other complaints couldn't be thoroughly investigated because officers didn't use their cameras. Isaac didn't accept our request for an interview for this story. "We have to address these things head-on, and there has to be movement," Mason said. In Addyston, the police chief and mayor said they have no concerns about how village police respond to complaints, including the one filed by Ohe. The mayor said he knows officers have to walk a fine line when they're administering justice to residents and people passing through. But Ohe still thinks Blanton went too far. "I'm moving far, far away," she said. "I've had enough of Addyston."